A new exhibitor in the UK was at the ATM and Cyber Security 2018 conference in London this week; Cattleya. 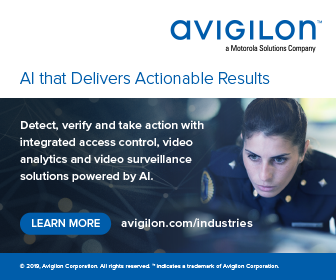 An Indian company, they offer what Lakshmeesh Sridharan, VP International Sales, described as a ‘360 degree purview’, that can include CCTV, passive infra-red detectors (PIRs) and vibration sensors. Anomalies detected can be pushed to a command centre, running on the cloud. An example might be companies monitoring their ATMs for security; temperature sensors can trigger that the temperature is rising inside the case of an ATM, abnormally; which may be due to an attempt at theft. Or, sensors may pick up that someone is in front of an ATM at an unusual time of night, which as an abnormality sends a notification to the command centre. The product also offers a bi-directional audio and video interface, for a control room operator to try to deter the intruders, whether by blowing a hooter, or setting off a commentary to warn that police have been called and the area is under surveillance. Bangalore-based Cattleya’s products are monitoring thousands of ATMs in India. While banks are the main application of the IoT (Internet of Things) product, it can equally be used for uses besides security, such as monitoring air-conditioning and battery levels, for best use of energy. Pictured at the ATM conference at the Park Plaza London Victoria is Steve Kenny of Axis Communications, who spoke in place of Axis founder Dr Martin Gren; describing the move to ‘smart video surveillance’ using analytics. Other speakers at the two-day event came from the FBI, Europol, Interpol, and UK and international police, besides private industry, on preventing cyber and physical threats against ATM estates and banking more generally. The next event by organisers RBR is Branch Transformation 2018, on November 27 and 28, at the Royal Lancaster Hotel, London. 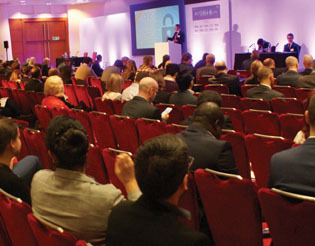 Visit: https://www.rbrlondon.com/conferences/bt. A half-day pair of seminars on financial crime and security followed, organised by the European Association for Secure Transactions (EAST). Speakers included Lachlan Gunn of EAST and Graham Mott of the cashpoint network LINK. More in the November 2018 print issue of Professional Security magazine. For more on ‘Security concerns hindering ATM deployment’ visit the RBR website.